There are many reasons as to why you should backup your smartphone and data to the Cloud. After all, you want to ensure your files are secure and have are in a safe place in case of an accident with your smartphone or tablet. But, it’s difficult to do that when you don’t have access to any cloud storage. I’ve put together a list of my favorite cloud storage apps that offer free storage solutions. Some of them even have fantastic pricing for either hundreds of gigabytes of storage or unlimited storage. Be sure to check it out below! 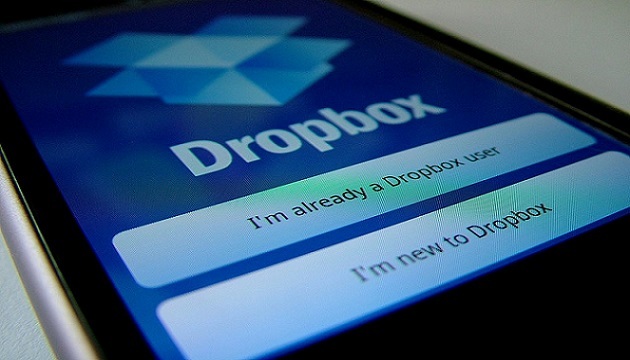 Dropbox is my all-time favorite cloud storage app. Not because I have any affiliation with Dropbox, mind you, but I’ve been using it since the day it launched, and have it across all my computers and devices. I haven’t had much need to look elsewhere, as they offer plenty of free storage for what I use. Not to mention the fact that you can get more free space through inviting friends and other minor tasks. 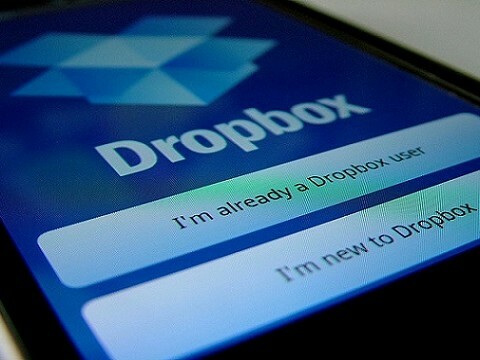 If the allotted space they give you isn’t enough, Dropbox will give your 1000GB of space to use for $ 10/month or an unlimited amount of storage for $ 15/mo. Google Drive is another cloud storage staple, offering 15GB of free data across all of Google’s services, such as Gmail, Drive, and Google+ Photos. You can store just about any data you need in Google Drive, and out of all the apps listed, they do provide the most free storage. Drive is also seamlessly integrated with Docs, Sheets, and Slides, making it insanely easy to store and work on important documents. If you use up the 15GB, Google has rather cheap storage options, similar to Dropbox’s pricing. For $ 2.99/mo you can get 100GB of storage or for $ 9.99/mo you can get 1000GB. OneDrive is Microsoft’s solution to Cloud storage, and similar to Google Drive, Microsoft gives you a free 15GB of storage. You can get an additional 15GB of storage for free by simply turning on camera upload on either your smartphone or tablet. For the everyday user, 30GB is more than enough to store photos and video. OneDrive offers cheap storage plans at 100GB for $ 1.99/mo, 200GB for $ 3.99/mo, and 1000GB for $ 6.99/mo. If you go for the 1000GB plan, Microsoft will throw in free access to Office 365, which gives you access to all of Microsoft’s Office applications, and let’s you work on them across all your devices. Amazon Cloud Drive is, well, Amazon’s solution for Cloud storage. With Amazon Cloud Storage, you have the option to get a three month trial, where you can store unlimited photos for free, and up to 5GB in videos and files. After the trial ends, you’ll have to pay $ 11.99/year to continue using that service. If you’re just looking for somewhere to store your photos, you can store unlimited photos for free with an Amazon Prime subscription. You may not need to pay that $ 11.99/year at all. Amazon Cloud Drive has another subscription option, where you have access to unlimited everything for $ 59.99 a year, which is a much cheaper solution than anything on this list. Box is another excellent Cloud storage service, offering 10GB of free storage space. While it does have more of a business focus than personal, the 10GB of free space is still excellent to have in your back pocket. One of the fascinating benefits of Box and its business-focus is that documents can be commented on in real-time, giving you instantaneous feedback. In addition to that, it has a lot of great features to effectively share files between coworkers. If you need more storage space, the starter pack will get you 100GB for $ 4.99/mo. The business package, requiring a minimum of three users, will run you $ 15/mo, but gives you unlimited storage space. MediaFire is another common Cloud service, offering 12GB of free storage space. One of the unique things about this service is that you can earn up to 50GB of free storage, which should be just enough for the everyday user. It’s certainly not enough for power users, but that’s not to worry, as MediaFire offers some excellent packages, which are all 50% off right now. For a mere $ 2.49/mo you can get yourself 1000GB of space. If that’s not enough, for $ 24.99/mo, they’ll give you up to 100TB of space. And if that’s not enough, I’m not sure what will satisfy your craving for data. At normal prices, you can expect to pay $ 4.99/mo and $ 49.99/mo, respectively. There are plenty more Cloud storage apps out there, but these six are my top favorites, as they have a wide variety of free storage options. If you need more, a lot of the storage subscriptions are the price of a McDonald’s cheeseburger. It isn’t bad at all. Either way, I’m sure I’ve missed some great ones. What are your favorites?